A Black Billed Magpie during an early morning walk in Aspen, Colorado. Photo by Melinda Koslow, 2012. I attended the Aspen Environmental Forum this past weekend, bringing together a mixture of scientists, policy makers and business leaders who all care deeply about the environment. This year the Forum tackled the idea of “Living With the New Normal,” a response to the National Oceanic and Atmospheric Administration’s actual air temperature measurements that show the U.S. yearly normal temperatures are now 0.5 degrees F higher in 1981 to 2010 than they were from 1971 – 2000. In parts of the Great Lakes region average air temperature increase is closer to 1 degree F.
What does this mean for our planet? I tackle these questions through the framework of the three main points of discussion at the Forum. How is the planet responding to this new normal? I’ll bring in a Great Lakes example for this one. The most obvious is probably the recent flash flooding in Duluth, Minnesota. Over two days, more than seven inches (some reports are closer to 9 or 10 inches) of rain fell, breaking rainfall records and causing a raging river through the city. Precipitation totals for Duluth area June 19-20, 2012. Photo from NOAA, 2012. Hundreds of people had to evacuate their house, roads and bridges washed out, and local zoo animals had no where to turn, leaving some to perish in the flood waters. Two-thirds of the zoo was under water, said Holly Henry Marketing Director of the Lake Superior Zoo. The flooding hit wallets also. Early estimates from the state of Minnesota show at least $100 million in damage. Storm runoff from June flood in Duluth, Minnesota. Photo by NOAA, 2012. Storm runoff from Lake Superior, compromising water quality for both humans and wildlife, could be seen from space. According to the U.S. Global Change Research Program, the Midwest has already experienced a 37% increase in very heavy precipitation since 1958. The elements are not matching up. While there’s a problem of too much water in Minnesota, Colorado has a problem of too much fire. Record temperatures in the 100 degrees F and dry conditions have made it very difficult for brave firefighters to do their jobs. NWF’s own Rocky Mountain Regional Center staff tell more detailed personal accounts of the fires here. Although we have to be careful to attribute short-term events to climate change, what we do know is that these types of extremes and record-breaking events help us to understand the growing risk that the warming atmosphere induces. Read more about the effects of climate change on extreme weather patterns in the U.S. Climate Change Science Program’s report Weather and Climate Extremes in a Changing Climate, Regions of Focus: North America, Hawaii, Caribbean, and U.S. Pacific Islands or in climatologist Heidi Cullen’s book The Weather of the Future. How are we responding to this new normal? See no evil, hear no evil, say no evil. Photo by Melinda Koslow, 2012. This photo says it all. To many people still choose to approach this issue the way these three “wise” monkeys do. Flickr/U.S. Fish and Wildlife Service - Midwest Region, 2010. 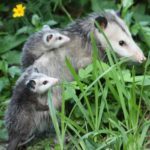 The good news is, however, that many of us, including National Wildlife Federation are working on real solutions to deal with the new normal while continuing to work toward a more stable climate through reducing greenhouse gas pollution. This work requires lots of relationships across state, tribal and federal lines and across all sectors of the economy to help wildlife survive these changes. NWF is a leader in practicing climate-smart conservation in all approaches to saving wildlife – ecological restoration (especially in the Great Lakes), planning, urban habitats, understanding how and why we are vulnerable and more. These actions not only save wildlife, but also help our human habitats deal with a new normal. For example, every wetland we restore helps reduce the impact of flooding and water quality pollution to our cities. How adapting does not mean accepting. While we continue to implement real solutions for protecting wildlife in this new normal, we refuse to accept this new normal as a new reality. Conservationist E.O. Wilson and I. Photo by Melinda Koslow, 2012. 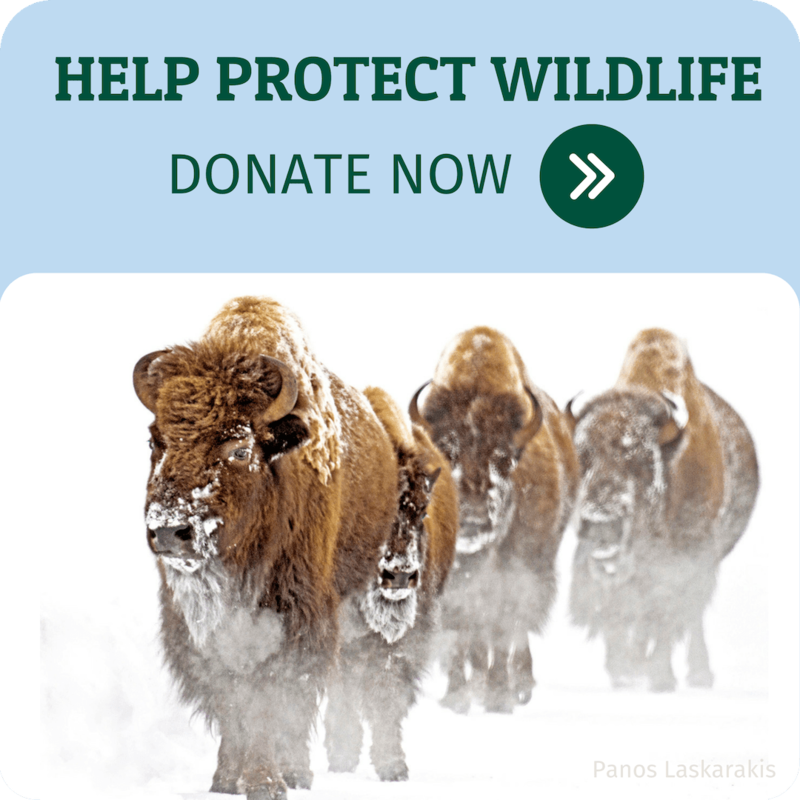 Help us take action by stopping greenhouse gas pollution and supporting restoration efforts – large and small. Yet, I still think about those people who emulate the three “wise” monkeys. When will they also respond? My opinion? It’s really what we’ve been saying for a while.